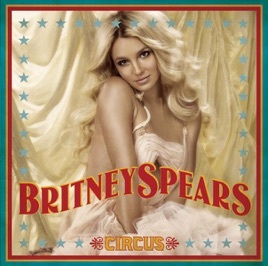 Britney Brings a Bang with "Circus"
Even though many say that Britney didn't seem like she gave her all on "Blackout", that doesn't excuse the fact it was a fantastic dance album. It had an urban feel. "Circus" goes back to her pop roots, and there's little to no urban tracks here. In fact, it has more of a europop feel to it. But it looks like unlike "Blackout", Britney seems to want to have success with this one. Her voice is clear in each of these songs. There are no fillers on this album (No 'Get Naked', thank God!) because they seem to be influenced by all her best songs from the past. Obviously, with the lowest score being an 8.5, it's obviously a great pop album. It's just what Britney needs, and it's worth every penny you pay. Congrats, Britney. Great Album, I Love It! 13. Radar - I likd this one off Blackout, it's still great! and love the new cd!